New York Immigration Lawyer | New York City Family Law Attorney | The Law Office of Paul O’Dwyer, P.C. THE LAW OFFICE OF PAUL O’DWYER, P.C., is an established New York immigration law firm, which has been representing individuals and employers in all aspects of immigration law, with a strong emphasis on asylum law, for over twenty years. We advocate on our clients’ behalf before the Department of Homeland Security and the immigration courts, and where necessary our New York immigration lawyer litigates their cases in federal court, in New York and nationwide. The firm also provides representation in matrimonial and family law. Our philosophy is that no-one should be forced to live in the shadows and in fear of deportation. This is increasingly important, given the recent increase in detention and deportations. To turn this philosophy into a reality, we strive to find a way for all our clients to obtain legal immigration status in the US, regardless of how challenging the facts are, and we continually look for ways to turn a temporary immigration status into a permanent one. We also strive to ensure that our clients know the issues in their own cases, understand exactly what we are doing for them, and are engaged in the process. This knowledge is the key to empowerment and helps ensure that the right decisions are made. Our clients include individuals seeking legal status in the US, either through family or employment sponsorship, investment or “E” visas, “extraordinary ability” or “artists’ visas”, or through a humanitarian or hardship-based application such as asylum, cancellation of removal, and waivers of inadmissibility, as well as those who already have legal status and are facing deportation because of criminal or other problems. The Law Office of Paul O’Dwyer, P.C. 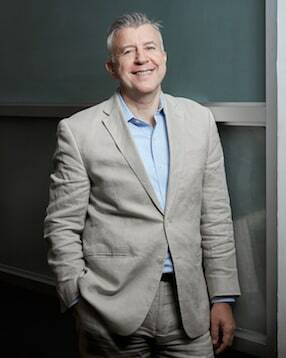 is recognized for its expertise in complex and difficult asylum cases, and the firm’s principal, New York immigration attorney Paul O’Dwyer, writes and speaks extensively on asylum law, and for several years was the Chair of the Asylum Committee of the American Immigration Lawyers’ Association. We have successfully represented hundreds of people obtain asylum based on sexual orientation, political and religious persecution, and gang-related claims from Mexico and Central America. In addition to immigration law, The Law Office of Paul O’Dwyer, P.C. has long practiced matrimonial and family law, including preparation of pre-nuptial and post-nuptial agreements, negotiation of separation agreements, and court proceedings for divorce, custody and child support, child protective proceedings and family offense proceedings. Recognizing the emotional and financial costs of these cases, we try to settle them if at all possible, recognizing that sometimes it is necessary to litigate in order to reach a just settlement. Child protective cases (sometimes referred to as child abuse cases) and family offense cases (involving orders of protection) often have immigration consequences, and we counsel our immigration clients on these matters. We are located in lower Manhattan, and our staff is fully bilingual in English and Spanish. For more information on who we are and what we do, please click on the Attorney Profile tab in the menu bar. To contact us, please click here. Paul O’Dwyer is an established immigration attorney with over twenty years’ experience in all aspects of immigration law. He has litigated many complex asylum and removal cases in immigration courts and in federal courts, including TRIG and CARRP terrorism and national security cases, and has also represented employers and individuals in a variety of employment-based immigration cases.